We also have over 250 youth members (boys and girls of all ages), who all get a game, and learn to play sport with the right balance of fun and competitiveness. Contact Duncan Marriott if you would like to know more or come along and join in. For the first time in collaboration with Berkhamsted Cricket Club we are running a women’s team. Please contact Sarah Woodall if you would like to join in or get more information. Our junior cricket section has been running for many years and has grown from strength to strength with now over 250 junior members. New members are most welcome, we do not operate a waiting list. All Junior TPCC Coaches are fully qualified, first aid trained and have a current DBS Certificate (16 and over). Our coaches are often all involved in the club from a playing capacity and in many cases were or still are involved in playing junior cricket. We have some young ‘Junior Coaches’ and more experienced coaches with Level 2 and 3 coaching certificates. We pride ourselves on having a good coach to player ratio which will hopefully enable all players to improve and ultimately enjoy playing cricket. A strong focus of our team is for every player to feel challenged and have fun in a social and relaxed setting. Our sessions are structured in a way that the players can work on technical skills and try implement those skills in a game situation. Summer training runs from April and runs through to the end of August. We also offer a winter nets program for ages year 4 and above. We also offer cricket weeks during the school holidays (subject to an additional charge), details of which will follow shortly. There is no joining fee and fees are cost £85.00 for the year and additional children are £75.00. You also get a membership card with various benefits including a 20% off food purchased at the Akeman, Tring. 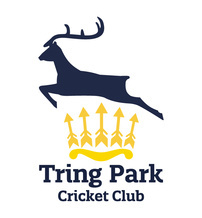 We enter teams into the Hertfordshire Junior League from age group U9 – U15 which covers the school years 4 up to 10. This year we have entered 16 teams across the age groups.